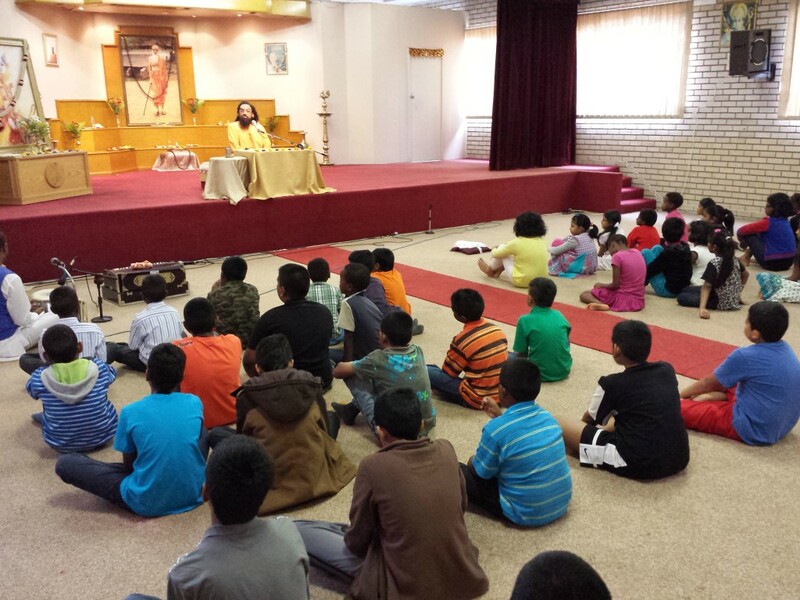 ‘Catch them young’, was Pujya Gurudev Swami Chinmayananda’s exhorting advice on imparting values to the children. The ideal given to the children in their early childhood alone can inspire them, equip them with the courage to face the challenges in life, and pursue their purpose diligently, with faith in themselves, and with a strong sense of conviction. Bala Vihar is a weekly gathering for children between the ages of five to fifteen years that takes place in Chinmaya Mission Centres. The aim is to help children bloom, grow, and inculcate values through fun‐filled activities. Bala Vihar enhances the overall development of the personality of a child at all levels ‐ physical, emotional, intellectual and spiritual. 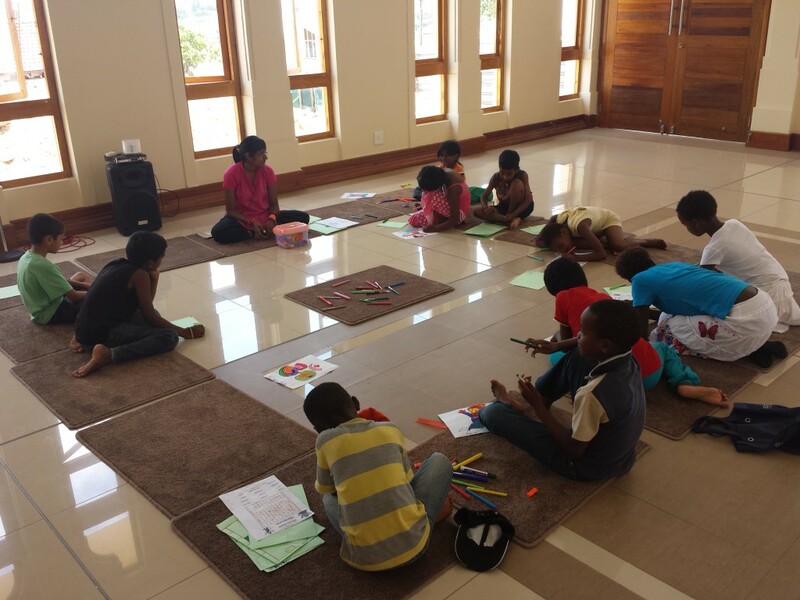 For almost a decade now, Chinmaya Mission Durban has been fulfilling this mission and imparting the timeless knowledge of the ancient Masters to the children of South Africa. Under the inspiring guidance of our Acharya‐in‐ charge Swami Abhedananda, the Bala Vihar wing of Chinmaya Mission Durban has become very popular. The Bala Vihar classes start and end with Sanskrit prayers. Each class has a carefully designed and prepared syllabus. The syllabus includes chanting, bhajans, and stories of devotional and moral values, interactive discussions, creative games, and arts & crafts sessions. The classes run for a period of 90 minutes once a week. 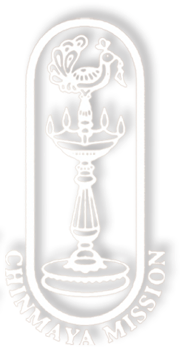 The Bala Vihar classes were first started by Chinmaya Mission Durban in the mid 1980’s and have been successfully inspiring hundreds of young minds since then. Currently the BalaVihar classes are organized every Saturday morning in the ashram premises. A special feature of Chinmaya Mission Bala Vihar are the spiritual Residential and Non‐residential camps organised for children during weekends and school holidays with entertaining, thought‐provoking themes and subjects. Fostering teamwork, friendship and leadership, the camps are highly interactive and specifically fashioned for specific age groups. A camp schedule typically includes chanting, yoga, group discussions, creative workshops, bhajans (devotional songs), sports and recreation (treks, movies, talent shows,skits). 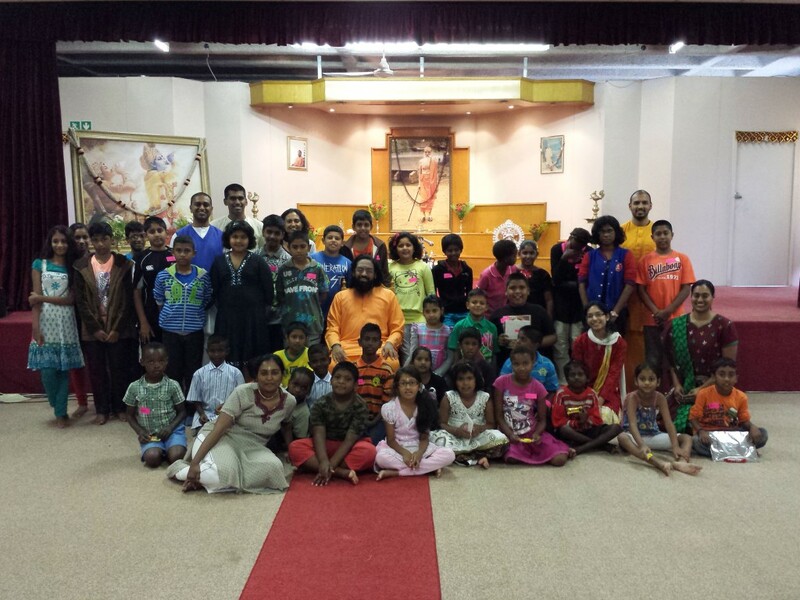 Very unique and inspiring Bala Vihar camps are organized by Chinmaya Mission Durban twice a month emphasizing the importance of the Lord, Guru and noble virtues in life to the children. “Love God’s Creation”, “My Gift to God”, “Forgive &amp; Love”, “My Guru My Lord” are some of the interesting topics of the Bala Vihar Camps organized by Chinmaya Mission Durban in the past. Every time, nearly 60 children participate in these wonderful camps. Besides several recreational activities, games, dramatics and musical programmes, the camp’s highlight is inspirational talks given to children by Swami Abhedananda and Br. Abhijit Chaitanya, which help to inculcate spiritual values and cultivate a sense of pride for our rich heritage and culture. Enrol your kids to Bala Vihar, and discover the glorious heights that your beloved children can scale! For more information about our Bala Vihar classes, contact our office @ 031 401 7915 or Suraj Jaggeth @ 081 485 9406.